As the culmination of the International Year of Mountains 2002 (IYM), the Bishkek Global Mountain Summit occurred in Bishkek, Kyrgyzstan October 29th through November 1st 2002. The year was a celebration of mountain districts with an emphasis on the balanced growth of mountainous regions. 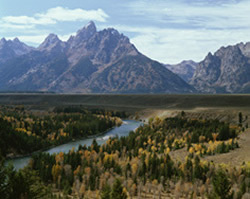 The International Year of Mountains was declared by the United Nations and followed by many countries around the world. The year had many celebrations highlighting the world's magnificent mountains. It was expected that the year would increase awareness of mountains dynamics, cultures, eco-systems and their general importance to the world. Mountains are a great storehouse of water and billions of people in the world depend on them for filling their rivers with clean, fresh, water. So we need to make sure that mining, industrial pollution and general misuse do not endanger the water supplies for these billions. 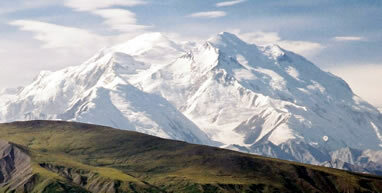 Also mountains are a haven for wildlife and fauna and need certain protections to keep from destroying their habitat. Over 34 countries established IYR National Committees and many other governments designated national focal points to be responsible for IYM observances. Events were held in Lima, Peru; New York, New York; Salzburg, Austria; Interlaken, Switzerland; Vladikavkaz, Russia; Uttaranchal, India; Addis Ababa, Ethiopia; Yangminshan National Park, Taiwan; Kathmandu, Nepal; Comunidad Foral de Navarre, Pyrenees, Spain; Vernon, British Columbia, Canada; Zakopane, Poland, Banff National Park, Canada and Bishkek, Kyrgyzstan.